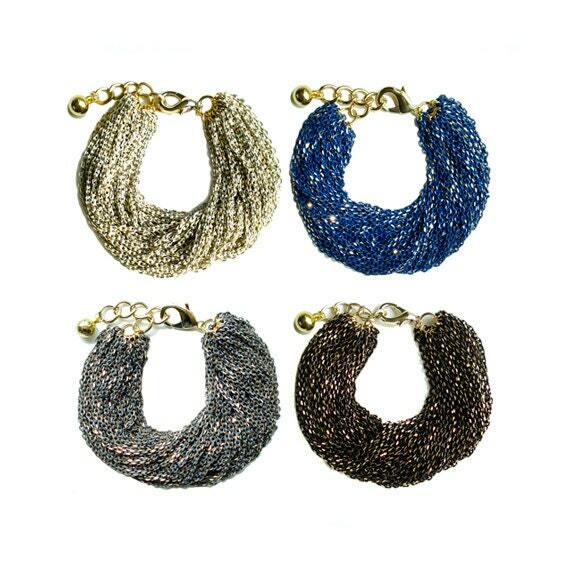 Make Chic Statement with this multi strand chain bracelet! 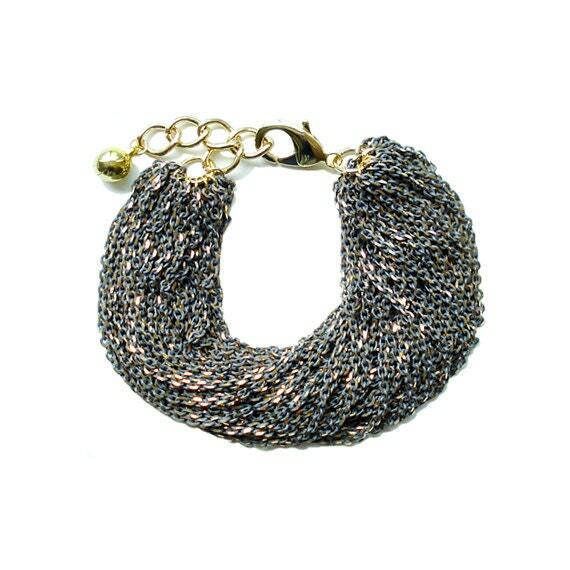 This statement chain bracelet is simply yet tastefully put together. 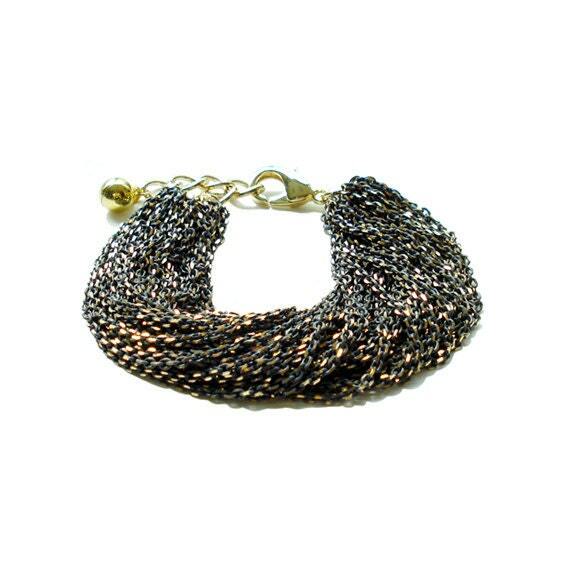 Multi Strand Enameled Gray Machine Carved Gold Chain creates chunky yet chic chain bracelet.